Isobar has been recognised for its innovative work with Adobe in Japan. 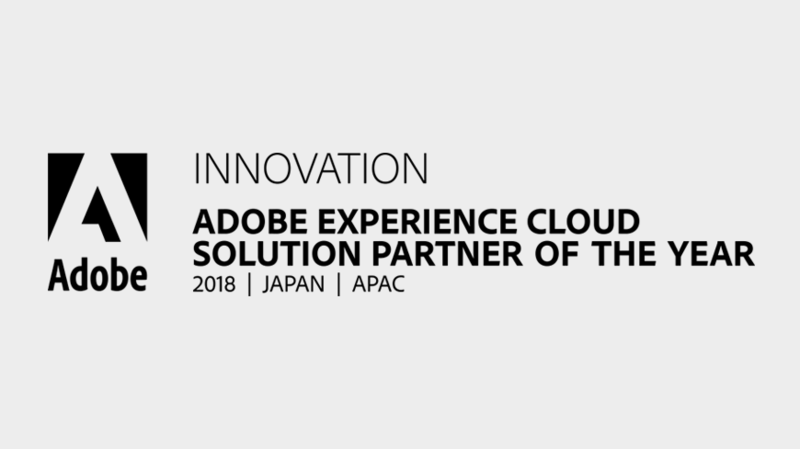 Dentsu Isobar, a team of over 400 digital pioneers in Tokyo, has won Adobe Japan Innovation Partner of the Year for the development and delivery of Adobe Solutions in Japan. In 2017, Isobar launched ‘Quick Win,’ a series of offerings that supports the installation and operation of Adobe Experience Cloud solutions. By launching Quick Win For Digital Experience, Analytics, Digital Assets Management and Analytics for B2B, the Dentsu Isobar team has developed a best practice approach for delivering short-term, cost effective and support for clients leveraging Adobe Solutions in Japan. In addition to this year’s rollouts, the Dentsu Isobar team provided clients with data analyst training using Adobe Analytics, which also supported the talent development of its own employees. Adobe partners with the best agencies, consultancies and technology providers across Asia Pacific to provide leading-edge solutions that enable customers to drive innovative, personalised experiences, data-driven marketing and cross-channel marketing. The Adobe Innovation Awards acknowledge and celebrates partner success, innovative work and dedication to customer success using Adobe technologies. At the 2018 Adobe Innovation Awards, Isobar Australia received the Customer Experience Accolade, and Accordant Linked By Isobar won the Cross-Channel Marketing, the Programmatic Marketing and the Adobe Public Sector Award for Australia and New Zealand.